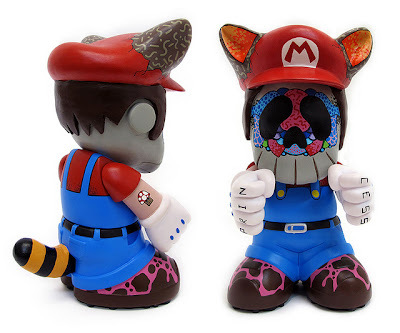 This was a private commission by an awesome collector who gave me a picture of a tshirt design which was the cover of Super Mario Brothers 2 but Mario had a scull face with the kaws style jawline. I didn't want to make it look like a Kaws piece so I flipped the shape of the jaw around a touch and went to town on it with my own style. Stoked with how it come out.